Donald Katz is the founder & CEO of Audible. He successfully built the world’s largest seller and publisher of audiobooks. He joins the show to discuss how he built his company. Audible isn’t just a successful company. It also impacts local communities. Katz believes companies should do more social work to revitalize its surroundings. He thinks “do-good” helps businesses and their goodwill assets. Amazon recently announced that it has launched some upgrades to its Whispersync for Voice technology to make it easier for people reading Kindle books to switch between reading and listening to the Audible audiobook version on a smartphone or tablet. Katz explains this new feature. Audible just launched a creative partnership with Playtone, the celebrated television, film and music production company founded by Academy Award-winning actor-director Tom Hanks. Katz tells us more about this partnership. Jason Hartman: It’s my pleasure to welcome Donald Katz. He is the founder and CEO of a company you have probably heard of. And one that I use a lot and love very much. And that is Audible.com, founded back in 1995. So we’re going to hear a great story. Don welcome, how are you? Donald Katz: I’m great. Great to be here! Jason Hartman: Good, good. Well it’s good to have you. And you’re coming to us from Newark, New Jersey, is that correct? Donald Katz: It is. The world headquarters of Audible is here in Newark and what do we have? About 11 different global centers not in Newark at this point. Jason Hartman: Fantastic. Well 1995 audio books online. Don, you must be kidding. Do people look at you with we don’t even know how this whole internet thing is going to go. Donald Katz: Unfortunately it wasn’t even this internet thing. It was the idea that we were going to invent a little device that I thought people would be carrying around in the future that held information and solid state audio music and the like. That seemed crazy to people. The idea that you could distribute the stuff digitally, the idea that people would use their credit cards online was novel at that point. People forget how primitive the thinking was back then and how revolutionary this idea was. But I will say that for the first four to five years after we launched the first digital audio player and the first audio service, people were still asking what the heck we were talking about. Donald Katz: Well that’s good. Nightingale Conant, well that goes way back. It’s great to talk to someone who actually appreciated the content because that was me. I was an author, I was a writer for 20 years. I was one of the original Rolling Stone writers. I wrote bestselling books, I had another career before starting Audible and as part of that I had become aware of how compelling the listening experience, the vernacular experience, the oral tradition of how American’s spoke and I loved the stuff. I used to jog with belly packs full of these cassettes, which you may remember if you drove around they would freeze in the winter, they’d melt in the summer, there were always glitches with the tape itself. It was a really sludgy, not very positive experience, and the things cost an arm and a leg. I mean they were really expensive. And this to me was just a brilliant product that I thought actually had a tremendous amount of intellectual integrity as well as its claim to tremendous entertainment value. Particularly at times of the day that you weren’t going to be reading text, like jogging in the park, like driving, and all these other times. And part of my background was I had the great good luck to be mentored in college and thereafter by the great novelist Ralph Ellison. And he was a huge part of my life and Ralph was a huge student of how American literature was a phenomena that was based on our oral and vernacular tradition. Our story telling, our bragging, our selling, our Americaness. So I was never anything but excited about listening to well composed words as a writer and as a listener but the idea that this was locked behind these physical medium systems, these huge packages of tapes, these expensive products, this sludgy distribution system, always intrigued me. So there was a point I thought, for various reasons having to do with actually it was the book I was supposed to write at the time, this could be so much different if it was all digitally delivered. Jason Hartman: And it’s so much more convenient. It’s just better in every way and obviously you’ve done a great job at it. And I want to cover several topic areas with you. I want to talk about how authors can be more successful on Audible and sell more of their products, of course we’re going to get to that. But just tell us about the early days a little bit. I mean your digital media player was, you invented that before there was a term called MP3. And it’s now in the Smithsonian? Donald Katz: And it was a system that then allowed us to encrypt the audio which in interesting, because that later became known as digital rights management because I was a writer for 20 years and in the Unix internet, way before the GUI internet, I actually had all sorts of articles I’d written for Rolling Stone or Esquire or Outside magazine, kind of purloined on the internet. And people would put their own names on it and I remember thinking, if we don’t protect the way content is replicated in the digital era, then professional creative class could go away. So there was that. We invented an inscription system. And on top of that, there was this idea of creating a mobile device that could capture this and take this audio away. I remember then analogy, when I asked people to try to put together teams to create this device, was that the printer was sitting in the mid-90s at every desk. Liberating the content which was text, which was coming through the early networks. The first medium was text. And a lot of this was about imaging a future where you could actually fit movie signals, full spectrum music, and the spoken word through the pipelines. It was a very interesting experience. Genesis stories of any company I know of, and I’ve talked to other founders, it’s always a couple of things that come together. It’s usually never one thing. Donald Katz: That iconic kind of eureka moment. But in my case it was a lot of things coming together having to do with my understanding of how efficient the traditional publishing business model was and it’s because of the delivery characteristic. My understanding of how submerged the audio segment was within this publishing industry, where I would argue now it never should have been, because it really is about production levels and all sorts of exciting things. Jason Hartman: yeah tell us, just expand on that idea a little bit if you would Don, because the book publishing industry of course is rather dysfunctional. They still can’t figure out where to go after fifteen years of technology lately, but I think Jeff Bezos is really making obviously a huge impact on it and I think it’s going in that direction. But with audio, why did it need to be different? Why should it never have been a shadow of the book publishing industry? Tell us what you mean by that. Donald Katz: Well because what happened with us was, in the first phase what we did was we took this category called Audio Books which was small and made it much larger by fundamentally applying technology to the way it was distributed. So basically right now there are millions of customers. The average take rate is 19 books a year. Our average Audible member gives us hundreds of hours of their lives per year. And most of them don’t think about it as buying a book. They think about it, over 60%, as a service that they pay 15 bucks a month for. They get any huge book they want. War and peace if they want it for 15 dollars. And whenever they’re in an environment where they can’t use their eyes to read or look at a screen, this is what they do. And that’s a testament to the distributive innovations that have allowed us to load up a smart phone that can hold like 600 audiobooks in such a seamless way that people just think of it more like HBO. It’s just something that’s in their life. And that’s a testament to the incredible work of making this seamless and making it easy, and directly connecting to the creative property, to the consumer versus all of the inner mediation of a book store and things like that. The second phase, just to answer your question, though, was that there was a point that we realized these works are performances. They are literally, even if they’re informational or educational as so much of our stuff is, versus just the great story telling, it’s really about the quality of the esthetic experience of how these things are interpreted. And I remember going to our editorial books a couple of years ago saying look, movies are based on text. And television’s based on text. Theater is based on text. But the critical vocabulary, how you talk about them, is mostly about the performance of the text. The text is the subset. And because this is written as part of the book industry, we just cut and paste the flat jacket copy from a book and we shouldn’t be describing things that way. We should be aspiring to make these things lasting refracted performances based on the text. So that led to us really getting into the quality of performance and eventually hiring the greatest actress in the world to do this at an incredibly high level. I don’t know if people know this but you could have Nicole Kidman, Dustin Hoffman or Kate Winslet or Colin Firth, reading to you while you’re driving to work at levels that are just absolutely transcending the text itself. And so we created platforms for making more audio books online, which we can talk about if you like, and other things. But basically we went into this concept of repositioning the audio experience as transcendent entertainment and learning opportunities. And all of this during those hundreds of millions of hours per week, that Americans can’t use their eyes to look at a screen, so audibles, substantial success is kind of based on the application of technology to something that was deficient and then the application of creative input and escalating the quality of the content. Jason Hartman: That’s very interesting. I remember when I discovered my first audio book at age 17. I was in Walden Books in Cerritos mall in California and I picked up a copy of Zig Ziglar’s See you at the Top as a single cassette tape. And from then my love for audio books, my car has always been a rolling university ever since then. And it’s really interesting what you say because I got really into Earl Nightingale at pretty young age and he used to talk about how the spoken word carries so much more emotion and inference, especially when the author’s reading it themselves or a famous actor narrator as well. Donald Katz: And we’re trying to decide what else to do with this but I think it does lead to this addiction we see in our customers, that literally the start to do this and there’s all this funny stuff among different online communities. Like who changed their job to be farther away so they could listen to more. What’s the longest you’ve spent in the parking lot waiting for a chapter to end? Jason Hartman: I actually look for reasons to drive Don, I must be honest with you, just so I can listen to audio books. Donald Katz: I heard about the soccer mom phenomena, how many extra trips did you make to the store just because you had to get back to the book? Jason Hartman: Soon Al Gore’s going to have a fit about the carbon footprint. Oh gosh. Very interesting. Well, what was one of the biggest struggles that you overcame that early? In the early days; Maybe in the first 5 years of Audible? Donald Katz: Well the first 5 years were definitely a struggle partly because the concept was just so early. We were out there with a digital audio player four and a half years before the iPod. And in that period, the most internet companies, which again we have pretty short economic memory as a society here in the United States. But the reality is there was something in the order of 1,600 public internet companies. And only about 1,200 of them existed when the dust settled between the devastations of the spring of the year 2000 and the beginning of 2003. So you ended up with just a tremendous decimation and we were one of the surviving companies for a lot of different reasons. But still, the idea of being that early put a lot of stress and strain. I’ll tell you a funny story. S,o we went public in 1999 with just about every good company that wanted to step up from the competition in those days. Because it was a very strange time of cheap capital and probably companies inappropriately going public, but that was the trend. You ended up with a chunk of money. But Robin Williams was very involved with Audible at the beginning. And Robin did programming every two weeks for us and was involved with the IPO and he went on a television tour, not unlike his movie tours that included everything. Letterman, Rosie, and The Morning Shows. And Charlie Rose, you name it. And he held this little digital audio player and tried to explain what this was all about. And it literally was like something from a Saturday night live spoof. People had no idea what he was talking about. This was early 2000. And it was just sort of one of those things, where we were just early with the vision, but right. And then the reality is in the beginning of 2002 and everything was just kind of lost, and our stock was down massively along with every other internet companies. And it started to change because I got a call from Steve Jobs who wanted to tell me that he admired what we’d built and wanted to talk about some secret projects that he had. And people forget this, but the second generation iPod did only two things, which was only a few months after the first one. It was for ripping your music collection from your cd collection. Because there was no iTunes for another 16-18 months. And it was for being commercially compatible with Audible.com. And from that point life got a lot better. I’ll never forget Steve telling me that he was going to spend $15 million dollars marketing this little thing that he was going to call the iPod. And I remember in those start up days thinking a million dollars – because we spend that in not very many days a week. But at that point that’s where we were, and of course we were inside these devices that began to be incredibly popular. So our device was as you said, relegated to the Smithsonian. And we went back into the hardware business at one point just to assure the quality to our members, but there were points at which we were giving away the hardware, giving away iPods like a cellphone in exchange for monthly fees and it got better and better. And life got very good, we were a public company for just over 9 years. And very happily in 2008, Audible became a free spanning subsidiary of Amazon.com, which has been a fantastic period for the company. And through it all, massive growth, global growth, product proliferation for making customers happy and as I noted, a complete seat change in that we became by far the largest producer of audio and frankly the most decorated. This year we won the Grammy, the audio book of the year, and I could go on and on. Because we’ve kind of taken the creative elements of it and we’ve gone into original programming. You know that you’ve been hearing about all the time, whether Netflix or Amazon, but we’re very much involved with that too. It’s a very exciting time. Jason Hartman: So when you say original programming, tell us what you mean by that. Because with Netflix and Amazon, they’re making their own documentaries, TV shows, movies, but with Audible, what do you mean? Like you writing…here’s the problem again like you say, we talked about the shadow of the publishing industry on the book side, but what my mind instantly goes to, forgive me if you don’t like this, is what do you do, write a book and then have someone read it? That’s how I think. Donald Katz: What is the character of the pros being in tone? So if you think about it, one of the great revolutions in professional creativity to me in the last 15 years or so is the Long Arc television program which I would say is the Sopranos, The Wire, Breaking Bad obviously stand out to the aficionados and it’s really created a different kind of writing esthetic. I mean really the character of The Wire was really like a massive long arc opera with huge numbers of characters, recitative renouncing them, and all kinds of interesting sophisticated stuff. People were writing to this new form of these sustained serializations that had an entirely long, long form story. So, it’s not really different than to turn around and say what are the characteristics of this deeply intimate experience of a story being told to you for you? It harks back to the psychological pleasures of being read to as a child, for most of us that had happy childhoods. I mean being read to is an incredible, just luxury. It’s a very pleasurable thing. And you take then this intimacy that’s usually it’s just for you, either there are ear buds in your ear or you’re in your car alone – it’s something in the air of 100 million Americans drive to work alone. And there’s not that many more that go to work. So you have this like sonic sanctum of the car and we have all this different evidence that certain kinds of first person story telling is incredibly powerful whether it’s, as you put it, with Earl Nightingale, the guru him or herself talking to you, just for you, or like we found with the book The Help. The Help was just a huge bestseller. Not necessarily in literary phenomena, but when four different actresses took the first person chapter structure on, it was a transcendent experience. So much better in audio than as a read. And we began to see a lot of patterns. So the question is what is that kind of storytelling if you’re writing to the forum. Why does the book have to be part of it at all? There’s a little example right now. Just the other day, we launched some back story from Homeland, the television show. Jason Hartman: Oh I love that show. Jason Hartman: Oh and I love the Great Courses. Donald Katz: People just get hooked on those, one after another. Jason Hartman: I’ve been through nine of them. I love them. Yeah, yeah, I love them. I just wish they came with the PDF downloads, and you’re probably working on that. I assume that’s a publishing rights issue. But a lot of them they keep referring to the documents. But the Great Courses are awesome. Donald Katz: But we’re even trying to deal with that. I don’t know if you know about our products Whispersync for Voice or Immersion Reading. Jason Hartman: Whispersync is phenomenal. And the full immersion reading concept, you know what I’m hoping you do with that? And I bet you have people working on this; I’m hoping there are either apps developed for that or you do it with Amazon, but for speed reading. Because I think it will be an awesome speed-reading tool. I’ve always wanted to know how to speed-read and that Whispersync, if you could increase the speed of it, it increases the speed at which your eyes have to come across the kindle device. Jason Hartman: Yeah, and it does just that. It’s quite amazing. And I know that even before we came out with the neurocognitive research I was thinking, why is it when I get in bed and I’ve probably got about 15 minutes of textual reading in before I conk out, why is it that if I turn immersion reading on I’m up for 40 minutes completely electrified by the text? There’s something interesting about it. And just so your listeners know what we’re talking about, the Whispersync for Voice is one product where imagine you’re reading on your Kindle, you’re in your living room, it’s time to go to work, you put it down on the table, you jump in the car, your smart phone will pick up the Audible edition of that same read exactly where you left off. And you drive to work, you’re listening to the story, you get home, you pick up your Kindle, it’s right back where you left off. So it synchronizes the text and audio enough to allow you switch back and forth depending on your state in terms of your ability or desire to read manually. Immersion reading is on the Kindle Fire where you can actually see the book read to you, see the text very subtly highlighted and you just sit there, it turns the pages for you and basically it’s reading to you but you’re also seeing it. Jason Hartman: Yeah, same here. Donald Katz: Learning processing issues. And she became a fluent reader and a student in the old days by getting the old Library of Congress tape machines that you’d get if you had a learning disability and she would try to track the audio in a paper back at the same time. And that broke through for her because clearly in the LD community there was knowledge that if you kind of hit the brain two ways with the same information, somehow you were kind of cognitively doubling down and it broke through for her and she became the successful student and adult that she has become. So to me this was an aspiration from the point I started the company. But you probably know enough that the physics of knitting those two files together is very, very intense. Because there aren’t natural hooks in audio. So it became literally a long time [0:27:18.9] to be able to get this done in an automated way so that we now have so many thousands of titles that you can get through Whispersync for Voice, but I really encourage anyone who’s interested in this if you’re a Kindle person, just go to Amazon and search on Match Maker and there’s this very cool new little applet that you push a button, it goes through your Kindle library and it shows you all of the Kindle titles you have that have a matching Audible parable piece. And you can just push a button, and it’s really cheap if you already have a Kindle, it’s a really cheap way. Jason Hartman: yeah, really it’s just a little bit more. A couple bucks, yeah. Donald Katz: And then now you’ve got the two files and this thing will work. And we’re proud of that and all sorts of other things we’re inventing on a global basis. Because the audio category should be right up there with books and movies in people’s minds. Because it’s powerful. It’s an amazing way to learn, and it’s an amazing way to be entertained, and it just for some reason got stuck in the back of bookstores for a long time and the wrong medium and once liberated from that it’s alright. Jason Hartman: Yeah, very good points, very good points. There’s one point you didn’t mention but I think it’s very relevant. Everybody bemoans the fact about how people don’t read much anymore. And I agree, I bemoan it too once in a while. But I realized myself that I don’t read as much as I used to. And I think one of the reasons for that Don, is because we’re looking at computer screens all day. And that wasn’t the case years ago and so we just kind of want to rest our eyes and stop looking at things for a while. And I used to read in bed before I go to sleep but now I listen to audio books and a lot of them I fall asleep to. Jason Hartman: Sure, and we covered them. Donald Katz: It’s funny when the company started; when you start companies one of the ways to explain why investment dollars and other people’s time and passion should be invested in this idea versus others, you often take a problem in an existing business and have a solution. So that would have been one way to do it, like you’ve got this distribution problems galore and pricing problems and packaging costs, in the traditional audiobook business. But I didn’t actually go there as much as I went to the fact that at that point in 1995 when I was getting the thing going, 93 million Americans drove to work alone and spent, I forget what it was, 550 million hours in traffic, it was the department of transportation. That is the opportunity here. How many of those hundreds of millions of hours will we fill with value? For people who realize that they can be having a far more valuable experience than listening to the radio. Jason Hartman: Yeah, with 22 minutes of commercials for every hour, you only get 38 minutes of content. It’s crazy. Donald Katz: And then it was interesting because I remember people being boggled by the idea that 93 million were actually alone and then of course all you would do was say have you been to a city with an HOV lane? Because they’re usually empty. Jason Hartman: Exactly. It doesn’t work so well. Well Don, before you go I would be remiss if we didn’t ask your advice on how people can be successful publishers. I don’t necessarily even want to say authors because of that separation concept from the book industry. But how people who are publishing audio content can be more successful on Audible. I mean Audible just like Amazon is a platform, you can sell your products there. What advice do you have for people who want to sell more? Donald Katz: That’s a really good question. And look I think most people who are doing well with us, which is just about everybody who gets how digital is completely the future of this and the physical’s just waning, and it’s just going to be about these kinds of visual assurances, they really see themselves as producers, not publishers. And I think that in and of itself focuses on your producing great, great content. Make it good. And then you’re dishing it off to us and we take over and we’re still the supplier of all the audio books in iTunes as well as Amazon as well as Audible. So it’s a tremendous opportunity. We’ll do all the investment and technology and everything. Just make more great content and let me just go back to that, more is what we need. Because what has happened over the years is that the physical legacy was so inefficient it costs so much to make an audio book, it costs so much to press all those tapes we were talking about. I mean you remember; sometimes there were 35 cassette tapes an act. Jason Hartman: Sure. It was crazy, yeah. They sold it by the pound. Donald Katz: You can imagine what that cost. This is all gone. So just put your money into making more audio. Because we have millions of people waiting for it. So that’s different than publishing in the sense of all the overhead of finding the content, finding the editorial processes and the rights management and all that kind of stuff. It’s just a different process and then the key message I put out is keep up with us, we’re growing like crazy. Don’t just, if you made 12 spiritual new age things last year, make 20 this year, and then make 30 and you will see the interface of your product in our world go up and come to all these other countries with us and clear your global rights. Because we can sell everywhere, the world of territories is over. And it’s all very exciting, but ultimately you have to stand back at some point and say that the whole digital opportunity is incredibly positive for the consumer, the listener or the reader. And it’s also incredibly positive for the creator. It involves access to that consumer in a far more direct way. If there’s a traditional intermediary institution, let’s call it publishing, sitting in the middle that may be okay if that institution’s ready to change quickly a radically and then say unfortunately one of the earmarks of our time, whether it’s in political institutions or religious institutions or labor institutions or business institutions, is resistance to change and fear of change is just hard. And it’s one of the things that probably marks our national discourse I would say largely negatively, and it just cuts across because many, many things are calling for change right now. And here’s a positive thing; the people that matter in a value chain, because let’s face it, if there wasn’t some writer as I used to do, killing themselves day and night [0:35:07.5] exist in their primary, and so are the people paying for it. 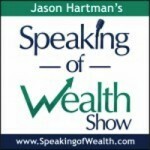 Jason Hartman: Good stuff, well how can an author or producer publish their content on Audible? What should they do? 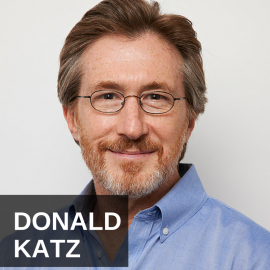 Donald Katz: Well if you are either or an actor who wants to learn how to do this themselves and work around the clock, which incidentally, that breaks the acting model in a positive way. Actors traditionally don’t work that much so they needed representation that would help them get high hourly fees and things like that, so if you want to go check something interesting out, there’s something called acx.com we built. The audio book creation exchange. And that is a complete online market place and production facility where in one hand we have thousands and thousands of producers and actors who can make audio at home. On the other hand, any rights holder, any author whose book has not been made into audio, and there’s way too many of those, can post that right, hold auditions online, and then choose a narrator and literally they split high royalties that go up every 200 units so they don’t even have to pay each other green dollars, and when they’re done and everybody’s satisfied, they push a button and it immediately goes for sale at Audible, Amazon and iTunes. Jason Hartman: Wow. So it just makes it so seamlessly easy, yeah. Donald Katz: And it’s again, a whole lot of younger people coming up are doing this and we’re out there training actors at Tisch and Julliard and UFC and UCLA and Stella Adler on the art of long form narration and people are discovering really viable acting careers just through us. It’s been assumed that we’re the largest employers of actors in the New York City area right now. So for actors it’s really, really happening. Authors need to kind of wake up and stop burying wraths and wraths of the rights of the intellectual property they create in one package and then having their agents sell them off only to find out that the publisher isn’t going to make the audio book. That’s my message to them. Be responsible. There’s a new era coming. I was a writer for 20 years, a successful one. So I guess I can say this, the era of sitting above the marketplace like some Victorian gentleperson and feeding your entire economic existence to two intermediaries, probably your friend, your publisher and your agent, is over. It just is and if you want to be one of these new kind of indie authors, as they’re probably going to be called or others, at least demand that things are not just quickly bundled away from you. Because that’s how you’re going to make a living. It’s going to be in all these different global rights and digital rights and other things, exploited and there’s a lot of models out there of people who are being far more successful by focusing on their…forget about whether you care about making money, just about getting read, getting heard. Jason Hartman: Right, very good stuff, very good stuff. Yeah, getting your message out. It’s not even always about the money; sometimes the money is…the monetization strategy is secondary to the publishing strategy and that can work to. Good stuff. Well, Don Katz, thank you so much for joining us today. Of course the website very obviously is Audible.com, but Don do you have a blog or another website you want to give out? Donald Katz: No, I should. I’m all over the place to be found, and I’m on TV a lot, all that kind of stuff, but I just haven’t had the time yet but I’ll get there. Jason Hartman: Totally understand, totally understand. Well, Audible.com, and thanks so much for joining us today Don. Donald Katz: Loved it, thank you.